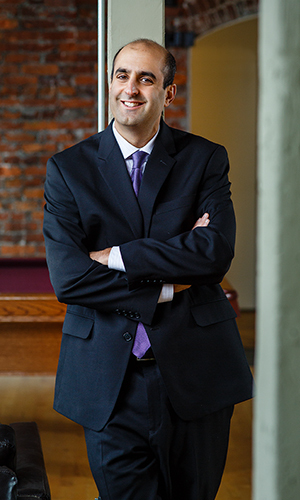 After graduating from Northwestern in 2000, Forti performed pro-bono consulting work for nonprofit organizations as a consultant with Marakon Associates. That experience inspired him to return to Northwestern in 2004 to earn an MBA so that he could make an even bigger impact in the nonprofit world. He and classmate Andrew Youn conceived the One Acre Fund, an organization that seeks to address poverty by providing African farmers with higher-quality seed and fertilizer as well as basic business training. “I didn’t know anything about Africa or agriculture, but I was excited to help a friend,” he recalls. Founded in 2006 with a small pilot program of 40 Kenyan farmers, the One Acre Fund now works with some 400,000 families each year across six African nations. By 2020, Forti and his team hope to reach at least 4 million people. Forti is the One Acre Fund’s public face in the U.S., overseeing areas such as fundraising, communications and corporate finance as well as evaluating the Fund’s impact on quality of life, nutrition and women’s empowerment. “The background I gained at Weinberg College shapes the way we have designed the One Acre Fund,” Forti says. “It’s a balance of the head and the heart, of understanding human beings and how they relate to one another, in addition to a sound business acumen. To see the lives that have been changed as a result is inspirational."